Well maybe the rock isn’t all that big, But it’s right there up front. 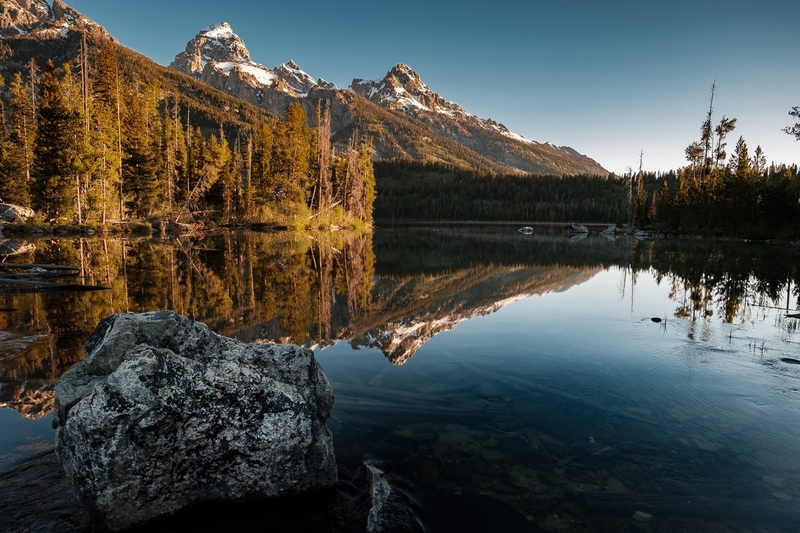 Anyway, it’s the distinguishing feature of this shot of Taggart Lake in Grand Teton National Park in Wyoming. I previously presented another shot of the lake without a big rock. See how different? More seriously, this was an absolutely wonderful morning. We hit the trail head in pitch black darkness, to hike the 1.6 miles to the lake, and we were the only ones there at dawn. For roughly one hour we explored the area around the lake for the best shot opportunities, and took a few group shots as well.